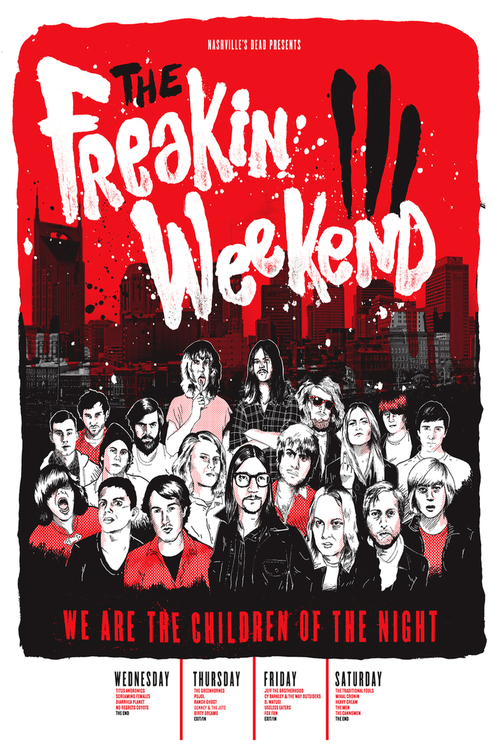 For the third year in a row, local music blog Nashville’s Dead is hosting their Freakin’ Weekend festival. It all kicks off tonight at The End with a special all-ages show featuring Screaming Females, Titus Andronicus, Diarrhea Planet, and No Regrets Coyote. Thursday night things jump across the street to Exit/In for The Greenhornes, PUJOL, Ranch Ghost, Denny & The Jets, and Dirty Dreams. Friday night’s show stays at Exit/In for Jeff the Brotherhood, Cy Barkley & the Way Outsiders, D. Watusi, Useless Eaters, and Fox Fun. Then we jump back across Elliston Place to The End for the finale on Saturday: Traditional Fools, Mikal Cronin, The Men, Heavy Cream, and Cannomen. 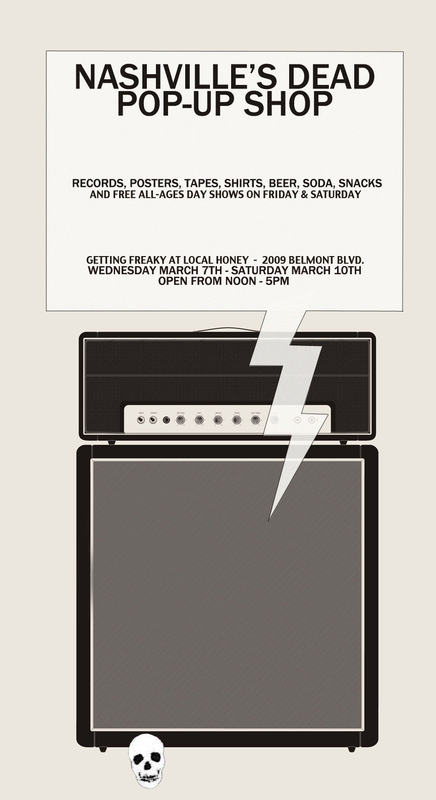 Also, returning from last year’s Freakin’ Weekend is the pop-up shop at Local Honey! Not only can you grab limited releases, vinyl, tapes, etc… from labels like Infinity Cat, Nashville’s Dead, Turbo Time, Third Man, Cass, Sebastian Speaks and many more, but on Friday & Saturday you can also catch great free day shows in the back lot as well! Head over to Nashville’s Dead for the full lineup+details. Major props to Ben Todd & his crew for making such a cool string of shows happen. They’ve really upped the ante this year by nailing a few bigger-name headliners, most notably The Greenhornes, whose rhythm section shares duties with The Raconteurs. Another very related tidbit: Spin.com just debuted the first single from PUJOL’s first official full-length on Saddle Creek, DIY2K, via a free download. If this track is any indication, this is gonna be one phenomenal album. It drops June 5th.